The composite decking that Chesley Fence & Deck installs at homes from Belleville, Illinois to St. Louis, Missouri, and everywhere in between, offers homeowners the best value for their investment in a new deck. 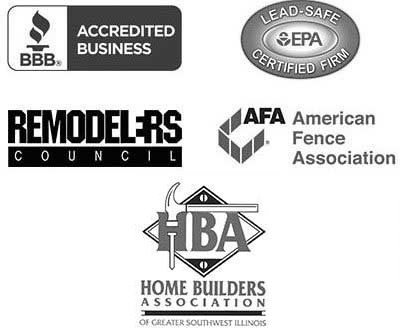 This is not only because we utilize the finest composite materials – we also have more experience than any other company in the region, having served local homeowners since 1967. During this time we’ve earned a reputation for outstanding craftsmanship and for tailoring our services to the unique needs of our customers. When you turn to us for a new deck, you can be completely confident that it will be custom designed and expertly installed by a team of specialists. 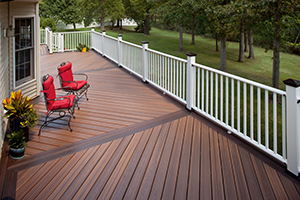 All of the composite decking solutions that we offer to homeowners in Belleville, IL, and the surrounding areas are fully customized to meet their needs. Contact us today to learn more.